Innovative Biosensors Inc. (IBI), an MTECH Ventures portfolio company developing rapid, ultra-sensitive tests to detect harmful pathogens, today announced that it has expanded its A round to $6.25 Million in total financing with additional investors, including Chart Venture Partners and CNF Investments, LLC, an affiliate of Clark Enterprises, Inc. (CEI). 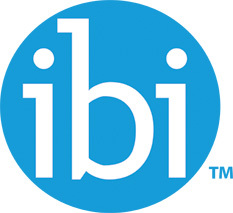 In May 2005, IBI closed its first round of Series A financing, which was led by Harbert Venture Partners. Other investors in that round included the New Markets Growth Fund and the Maryland Venture Fund. The company will use the additional financing to fund development of human clinical assays and commercialization of biodefense testing products. In conjunction with the additional financing, IBI will welcome Joseph Del Guercio of CNF Investments, LLC, and Cole Van Nice, of Chart Venture Partners, to the Board of Directors. Innovative Biosensors is a also a Maryland Industrial Partnerships (MIPS) Program funding recipient.